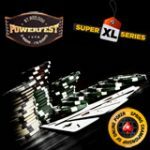 Grand Series of Poker VII and GSOP VII Mini takes place at BetfairPoker between 25th September - 9th October 2011, the popular series of online poker tournaments features more than $3 million in guaranteed prize pools. There are a total of 19 daily tournaments in the series including The Grand Slam Final. 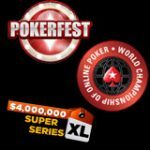 The Grand Series of Poker VII mini features the same tournament schedule as the main series except buy-in are reduced to between $5 - $50. 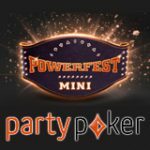 The mini series features $600k in guaranteed prize pools. 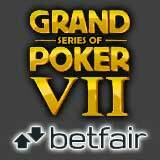 Play for your share of the guaranteed prize pools in the Grand Series of Poker VII on Betfair Poker. The popular GSOP online poker tournament series runs from the 25th September - 9th October 2011. The GSOP VII features several different game types with a wide range of buy-ins and even a mini series with buy-in less than $50 for the micro limit grinders. 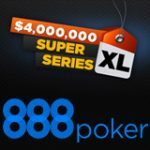 Get Bubble Insurance on every GSOP VII event, any player who finishes on the bubble will get a $120 tournament ticket for the weekly Betfair Poker LIVE final. 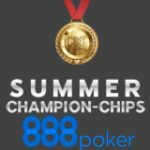 There will also be a GSOP Leaderboard where players in top positions based on their points earned playing GSOP events, prizes include seats to the Grand Slam Final and qualifiers. 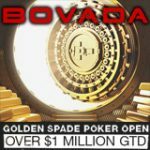 Satellite tournaments are running and players can win their seat to any GSOP VII for as little as $1.05. 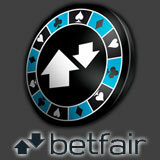 To get your Betfair Poker sign up bonus choose a bonus for the amount you wish to deposit ($50, $250, $500, $1000 or $2500). Make sure you use the Betfair Poker bonus code when you are asked to enter it when running the poker software for the first time, enter the Betfair Poker promo code into the Promotion Code field.